Notional volume executed on the Tradeweb European-listed ETF marketplace reached €18.23 billion in July, against a background of geopolitical risk concerns. During the month, more than one third of all European ETF transactions were processed via Tradeweb’s Automated Intelligent Execution (AiEX) tool. Commodity-based products were the only ETFs to see net selling in July, with 69% of trading activity in the asset class attributed to ‘sells’. Meanwhile, overall activity in equity ETFs amounted to 61% of the total platform flow, two percentage points lower than the previous 12-month rolling average. 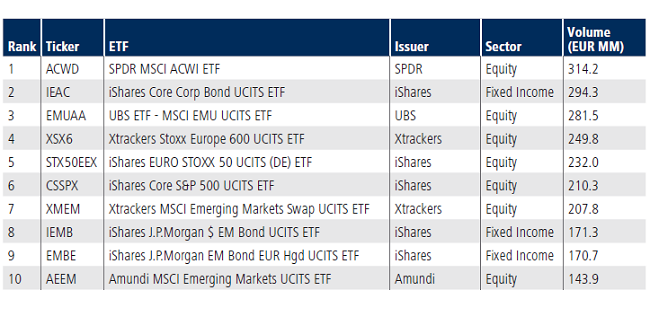 Fixed income ETFs were strongly bought, with ‘buys’ surpassing ‘sells’ by 22 percentage points.